You like one ___? This will happen a lot at grocery stores, because they’ll ask, “you like one bag?” They’re just asking you if you want a bag for your groceries. Kamaʻaina: this word refers to someone who is local. *Pro Tip: if you know someone who is a kamaʻaina, they may be able to pull some strings at a few touristy locations and get a kamaʻaina discount for you. Da Kine: “Da kine” is probably the vaguest term that has ever existed. It can mean something the lines of “that whatever-it’s-called” or it can be used as like “what’s his face” or it can be used as a way to describe when something is like prime quality. Shaka: You’ll see these quite often in Hawaii. Basically, if you hold up you hand with your palm facing you and fold down your three middle fingers (your pointer finger, middle finger, and ring finger), you are making a shaka. Kapu: This word came directly from the native Hawaiian language, and it was used as a term for the laws that were in place. Now that definition has expanded a bit to mean something along the lines of “forbidden”, usually because that place was and is sacred to Native Hawaiians. So if you see a sign that says “kapu”, you should probably avoid going there. Lychee: You all know what lychee is – that little fruit with a hard red outer skin and a slimy white inside. The reason I put this word in this list though, is because we pronounce it differently in Hawaii. Rather than pronouncing it as “lee-chee” like non-locals do, we locals say “lie-chee”. Poke: Poke is a traditional Hawaiian dish, typically made with cubed ahi (not “ahi tuna”, friends – that just means “tuna tuna”) and some soy sauce and seaweed. A few weeks ago, a wrote a blog post on my favorite places to get poke on Oahu. Nori and Limu: both of these are different types of seaweed. The seaweed that’s on the outside of sushi is “nori”. The seaweed that is in poke is “limu”. Furikake: Furikake is an originally Japanese mixture composed of nori, sesame seeds, and a few different types of seasoning. It is typically added to flavor cooked rice or fish. If you add arare (a type of Japanese rice cracker) to it and then toss it with some popcorn, you get what locals call “hurricane popcorn”. Shoyu: This is the Japanese word for “soy sauce”. We use it too. Malasada: Malasadas are fried Portuguese donuts, typically covered with sugar and/or cinnamon. Highly recommend. I actually wrote an entire post on where to get the best malasadas on Oahu. Musubi: Definitely a local staple. It’s a rectangle of rice with a layer of (usually) spam that is wrapped in a sheet of nori. Highly recommend. 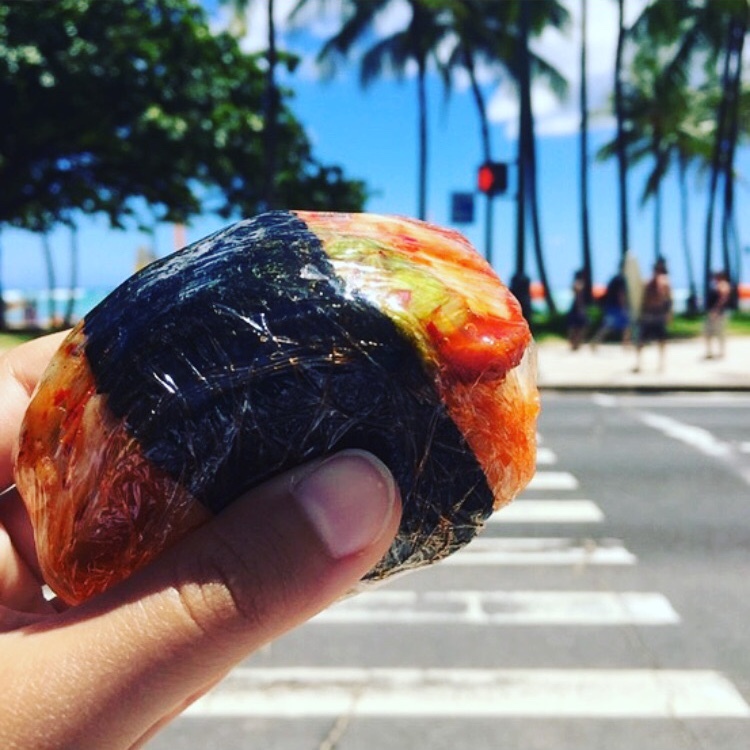 Oh, and I’ve tried to find the best musubi on Oahu, and so far 7/11 still tops the list (ask any local and they will agree). Li Hing Mui: This bright red powder is sweet, sour, and spicy all at the same time. And we put it on everything, from fresh fruit to dried fruit to shave ice to malasadas. Haupia: A delicious coconut-pineapple pudding dish. Get some in pie form from Ted’s Bakery. If you’re looking for more must-have Hawaii foods, check out Part 1 and Part 2 of my Hawaii food bucket list. Slippers / slippahs: No, this isn’t talking about those fuzzy house slippers you wear during the winter. “Slippers” or “slippahs” are flip-flops. Not at all for those cold, snowy days. Honu: Perhaps while you’re at the beach, you’ll catch sight of a “honu” – a Hawaiian green sea turtle. As a matter of fact, in my very first blog post, I wrote about a hidden lagoon with a few turtles that come to visit. Aloha Shirt: It took me a while to realize this one, but when non-locals say, “aloha shirt”, they mean a shirt that has the word “aloha” written on it. It’s not the same at all in Hawaii. An “aloha shirt” refers to what non-locals would call a Hawaiian shirt. You know what I’m talking about – those brightly colored shirts with an absurd number of hibiscus flowers that tourist families all wear to match. Yeah, those. 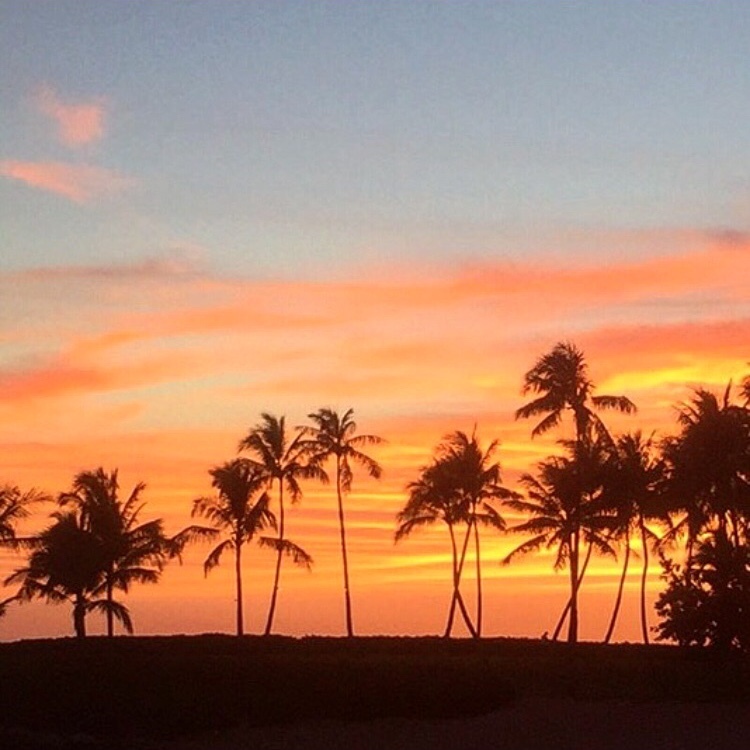 Lanai: In addition to being the name of a very small, 3,000-person Hawaiian island (which is totally worth a visit), the term “lanai” is also used to mean “balcony”. Mauka/Makai: In Hawaii, we don’t use the typical set of directions. We don’t have the organization where the even-numbered highways move in the East-West direction while the odd-numbered highways move in the North-South direction. No, we use the terms “mauka” and “makai”. In other words, when someone tells you to head “mauka”, you go towards the mountains. When someone tells you that something is “makai”, you head towards the ocean. Windward/Leeward: These two words are more fun local directional terms. On the island of Oahu, if someone is referring to the “Windward” side of the island, they are talking about the East side. If someone is referring to the “Leeward” side, they are talking about the West side. I hope this little crash course in Hawaiian pidgin words (and I guess all of our other random terms) helped! If you want to read a little more, check out the book, Pidgin to Da Max. 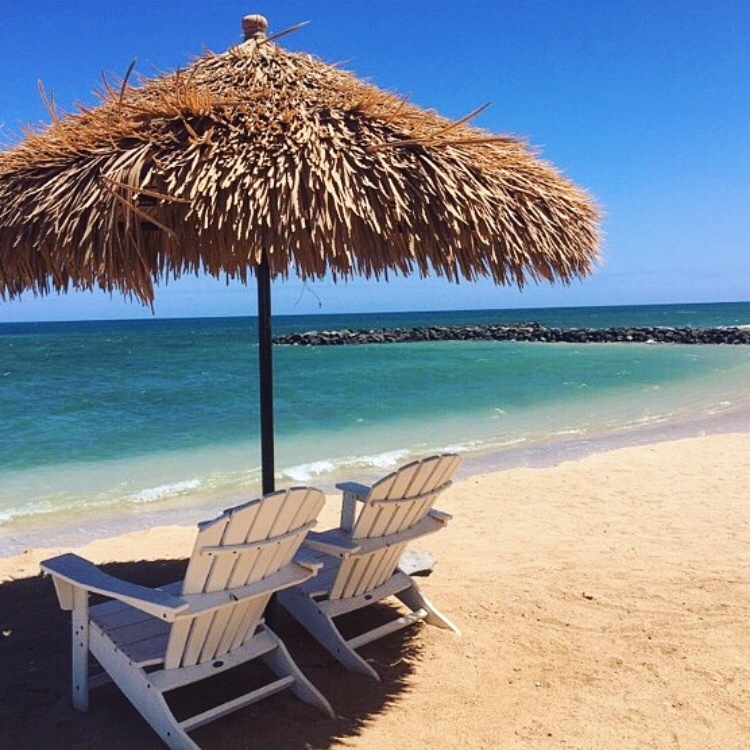 Can you think of any other local pidgin words you need to know when visiting Hawaii? Write them below in the comments! You like one mo’ tip? Pin this post! Yay! Glad I inspired a potential future trip :). Haha, this list was so fun to go through. My wife grew up in Hawaii and didn’t leave until college. I spent 2 years there myself. This was a great list aside from that my wife doesn’t agree that Haupia has pineapple, but I’m sure it could… Please let us know if we can share this article on our blog – with full credits and a link to your original article. Thanks! Hmm I’ve just always assumed haupia has pineapple, because my mom makes it with pineapple lol. I’m sure it could just be coconut lol. And I will email you about the article share (thanks for the interest!). Hehe it took me a second to catch onto that one. This was so interesting to read! 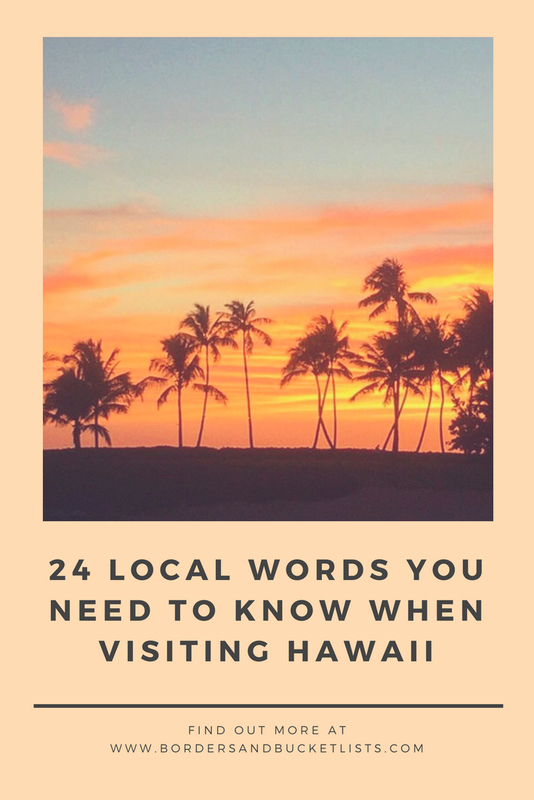 I have been to Hawaii many times, but did not know all these local words. I will pin this for my next visit! Hopefully you’ll get to hear some of them in use on your next trip! I LOVE THIS!! There is so many slangs and so happy you shared it! I love that you specifically shared the food slang/words as when out to eat that is the hardest to communicate at times. THANK YOU! Yeah, that was definitely my focus with this one. When people come to visit, I’m inevitably translating something off of the menu for them lol. I don’t know why I never thought about this but it would makes sense that there would be local language that you should know before visiting. So helpful! thanks for letting us know some useful conversational words in Hawaii. will make use of these. I went to Hawaii and didn’t try most of these sadly. I did try POKE and I loved it. I guess this is an excuse to go back and try more stuff! Thanks for sharing! At least you got to try poke! That would be one of the top local dishes that I’d hope people try when they come to visit :). Haha this is so fun! But I can’t get over that you don’t like potatoes..what?! LOL that usually makes people stop in their tracks. I don’t know. They just don’t taste good to me at all. That’s so cute! Those plates are probably in Hawaiian rather than the local dialect that is spoken throughout the islands though :). Yup, there’s just that one step left! This is so useful! I might need to do this for my local area. It’s so easy to forget how much local language you use and how confusing it might be for visitors! IT IS! I only realized it, because I went away to college and started using these words (and no one understood me LOL). I loved hearing Pidgen when I was in Hawaii. Such an interesting language. This post is awesome, I’m definitely going to reference it next time I visit! Previous PostPrevious Is the Capilano Suspension Bridge Worth a Visit?